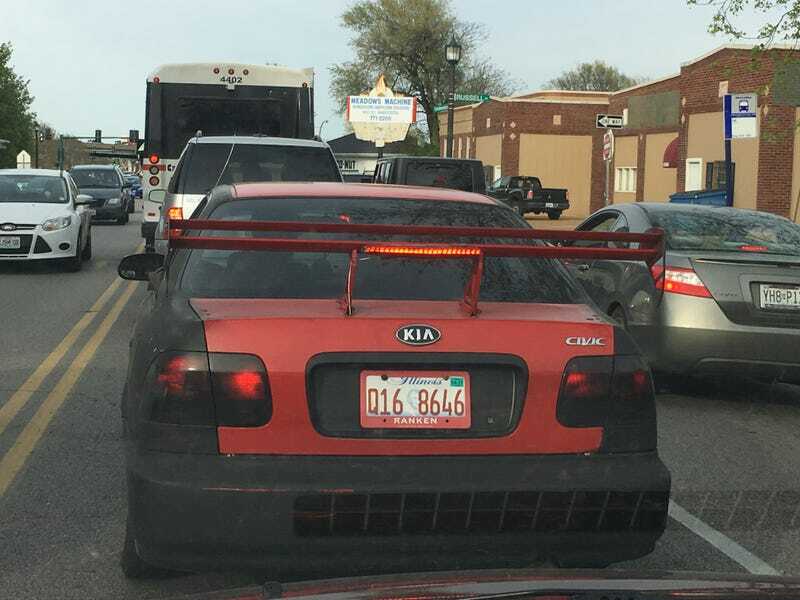 Full rice mode - stanced, fart can, stupid wing, matte black paint, tasteless wheels. And it was running so poorly I had to close the windows and put the A/C on recirc so I didn’t choke on the exhaust and lose my eyesight; literally, my eyes were watering from the fumes, and I mean literally in the literal sense. Not surprisingly, it was an autotragic. And Ranken is a local technical school. I hope he’s not there as part of the automotive technician training.